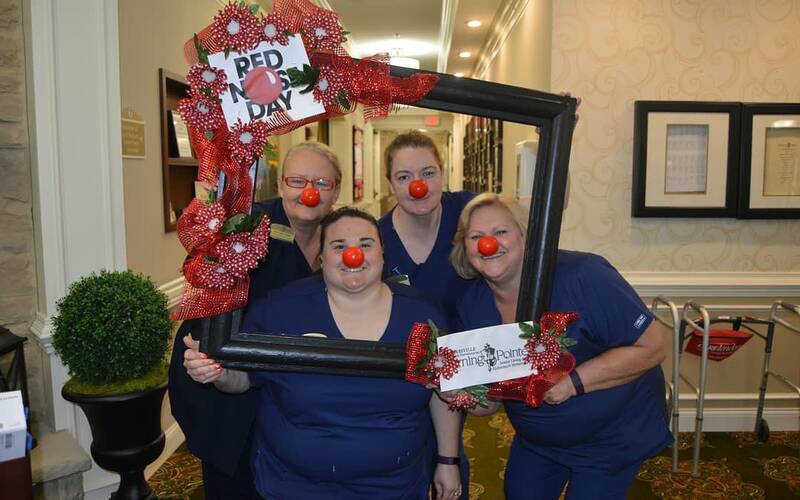 Photo: Morning Pointe of Louisville, KY nurses Gina Baker, Angela Croswell, Jane Streagle and Debbie Grant parade around the senior living and memory care community on Red Nose Day. 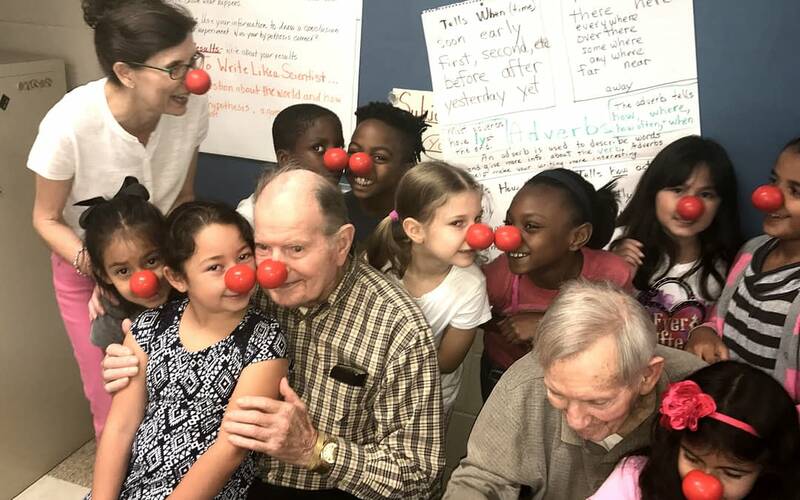 Photo: The Lantern at Morning Pointe Alzheimer’s Center of Excellence, Collegedale, TN residents threw a “Red Nose Party” for the students at Wolftever Elementary School. 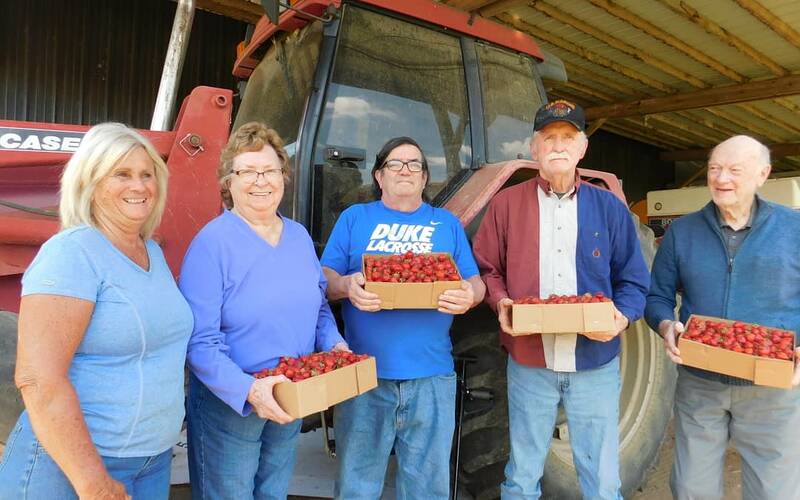 Photo: Martina Devine, owner of Devine’s Corn Maze in Harrodsburg, KY, and Morning Pointe of Danville, KY, residents Nelda Harlow, Dennis McHugh, Leon Coleman and Sid Shaw, enjoy picking strawberries at the family-owned and operated farm. 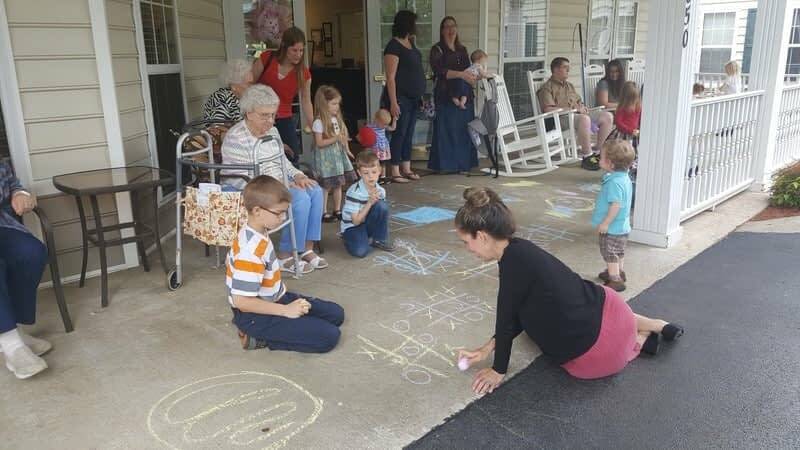 Photo: Morning Pointe of Columbia, TN residents and the local homeschool group enjoyed a playdate as part of the intergenerational programming at the assisted living and memory care community. 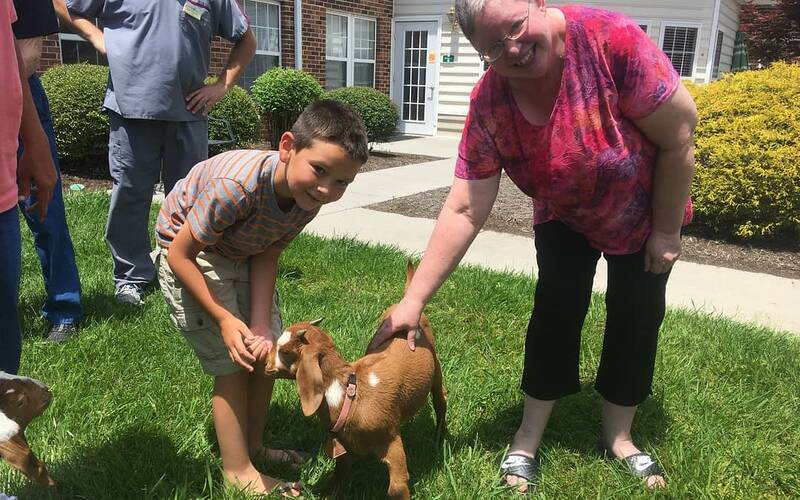 Photo: Shane Greenway and Ellen Conrad, Morning Pointe of Athens, TN resident, enjoy petting goats.